Second to last tutorial! But don't worry there are lots more coming, so keep up the requests! 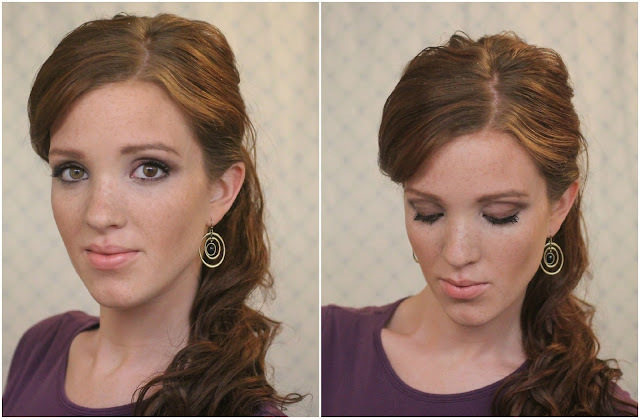 I first did this ponytail in an outfit post a couple months ago, and so many of you were sweet enough to ask for a tutorial, I'm happy to oblige! Step #2: Secure the ponytail with an elastic. Taking the top third of your ponytail, tease it at the underside of the base just a bit, then do the same with the second third. Smooth it over with a fine toothed comb. Take the front section out, and choose a side part. Step #3: Use your comb to smooth each side gracefully back towards the ponytail, swooping downwards a bit before going back up for a bit of drama. 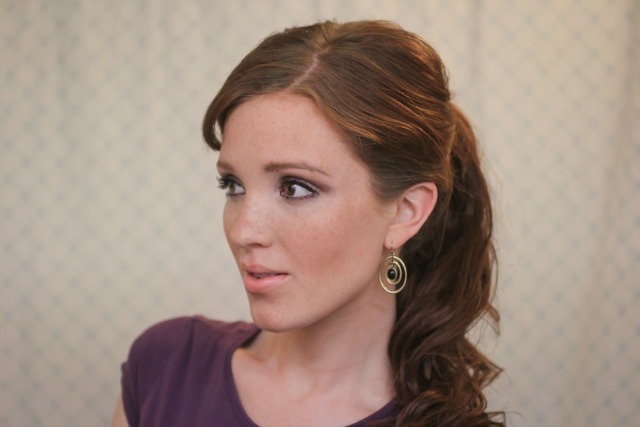 Holding the hair together, swing it over the top of the ponytail holder, and wrap the rest of the hair around the base, securing with a bobby pin or two. Step #4: Do the same with the other side. Curl your ponytail a bit if you wish, fluff and spray, and you're all set to go! 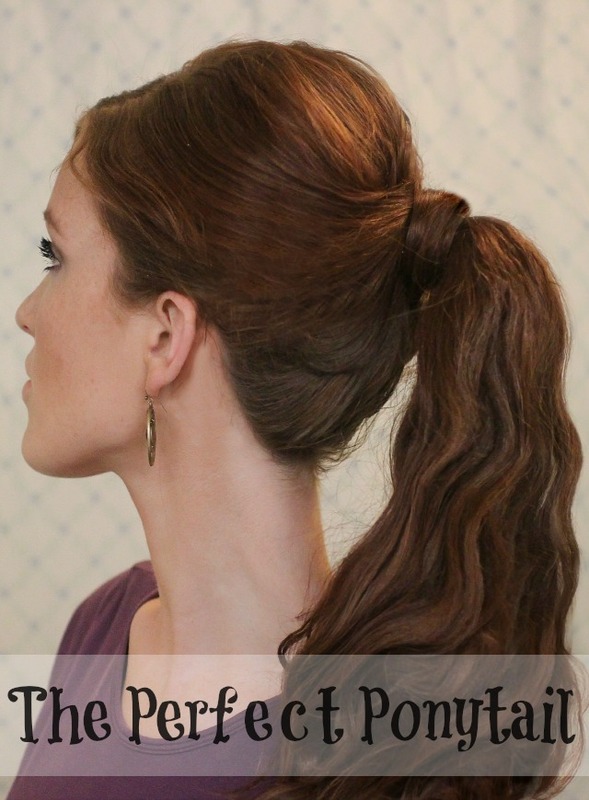 This is a really foolproof and fun way to switch up your average ponytail without much effort, and there's never a bad time to have a bouncy ponytail! See you tomorrow for the last tutorial, and I really hope you enjoy your Sunday! This looks really nice... Looks like it would take a LONG time for me too do though. i love this!! so cheerleader-esque! This is really pretty. I have lots of issues with making a pretty ponytail. My hair is crazy thick and naturally wavy and it always has a mind of its own. I may have to try this!